To meet the growing need for the best and most effective short-term camping program possible for patrons of Seven Mountains Scout Camp, we developed the Campmaster Corps to allow units to interface with seasoned adult leaders when arriving and leaving camp. The Campmaster Corps is a strong, well-oriented group of leaders who officially represent the Council while at camp and help the Resident Camp Ranger carry out needed duties. A yearly schedule will be made by the Camping Committee to assign a Campmaster for each short-term weekend camp, which is maintained in the Council Service Center. 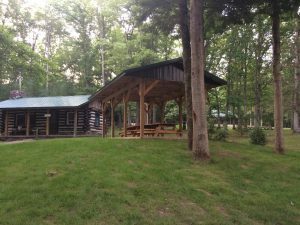 The Campmaster is housed in Rover Lodge (including kitchen), bedding and food not provided. Duty times are generally Friday, 6:00 pm to Sunday, 2:00 pm. Exceptions may be made based on number of activities and units at camp.